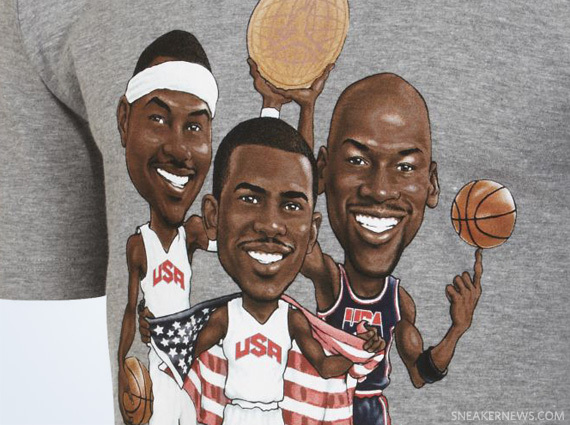 This Sunday, the Jordan Brand label brought home two more Gold Medals thanks to two of its marquee athletes – Carmelo Anthony and Chris Paul. 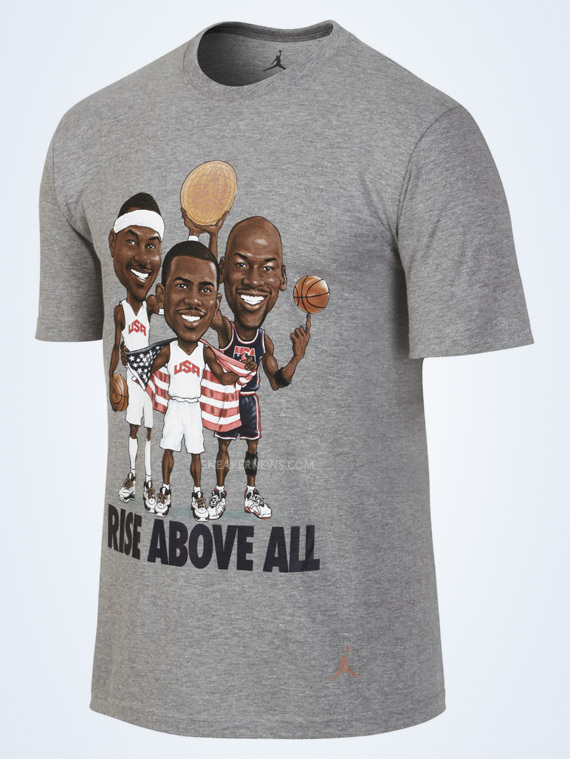 This latest apparel offering from Jordan Brand juxtaposes the ’12 members with ’92’s Michael Jordan as all three athletes are wearing their respective kicks – MJ in the Air Jordan VII ‘Olympic’ and CP3/Melo wearing the Jordan Super Fly ‘Olympic’. 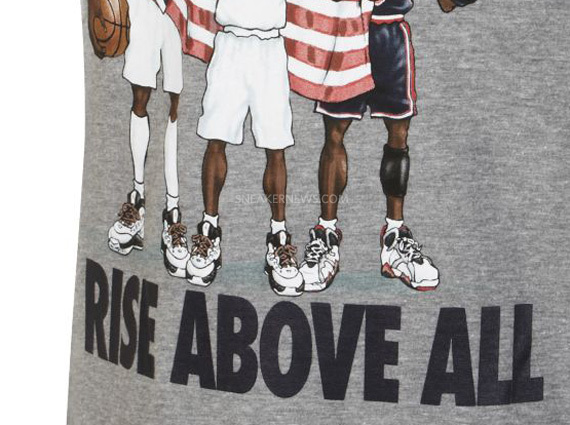 The shirt design is a throwback to the original Dream Team t-shirt, as Melo and Jordan hold up the Jordan global logo and CP3 drapes the American flag on his back. One glaring omission? Jordan Brand athlete Dwyane Wade, who spent the summer rehab-ing an injury. 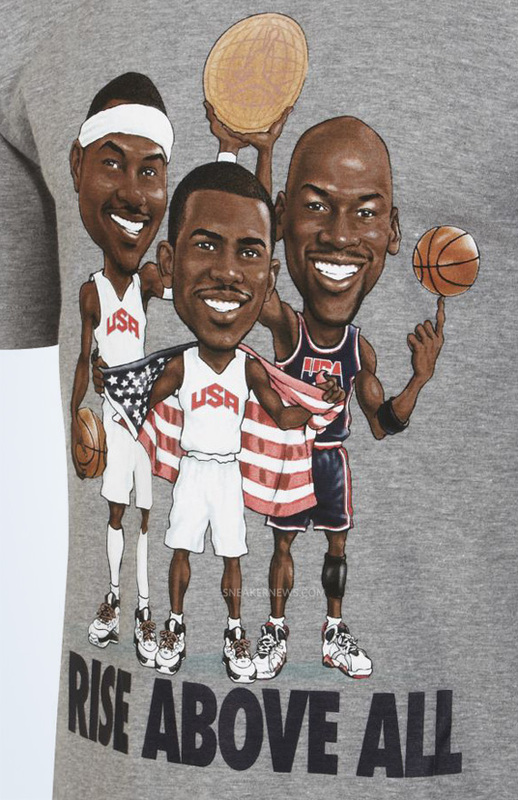 So even thought the ’12 team brought home Gold, the debate continues is the 2012 team better than the 1992 Dream Team? 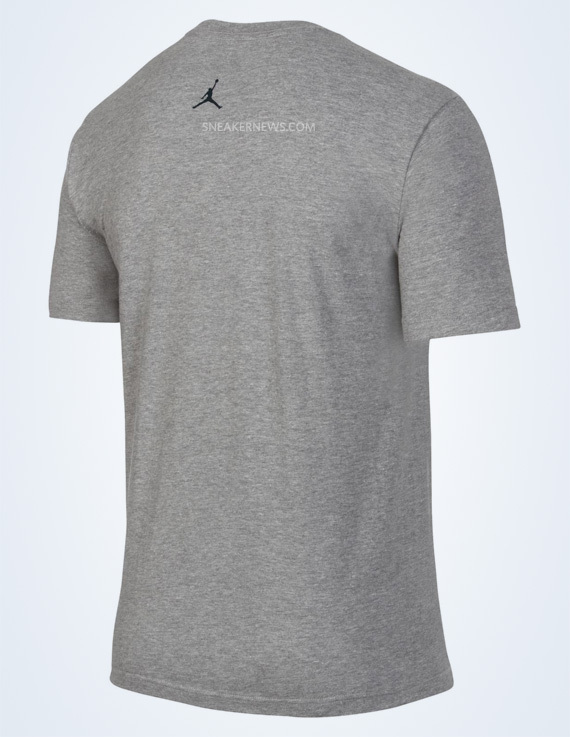 Check out additional angles and close-ups of this tee below and get yours right now at Nikestore.